The Apple Watch Series 4 finally gets a design change and with that change, the company has incorporated the brand new 64-bit capable S4 chipset and slimmer bezels. However, on Apple’s website, it has been listed that the Apple Watch Series 4 is able to provide an 18-hour battery life on average. Now, thanks to some eagle-eyed readers, the Apple’s Product Information Sheet pointed out some very interesting figures, one, in particular, being that the Apple Watch Series 4 sports a smaller battery for both models. According to MacRumors’ readers, based on the document, the Apple Watch Series 4 actually feature smaller batteries than the equivalent Apple Watch Series 3 variants. 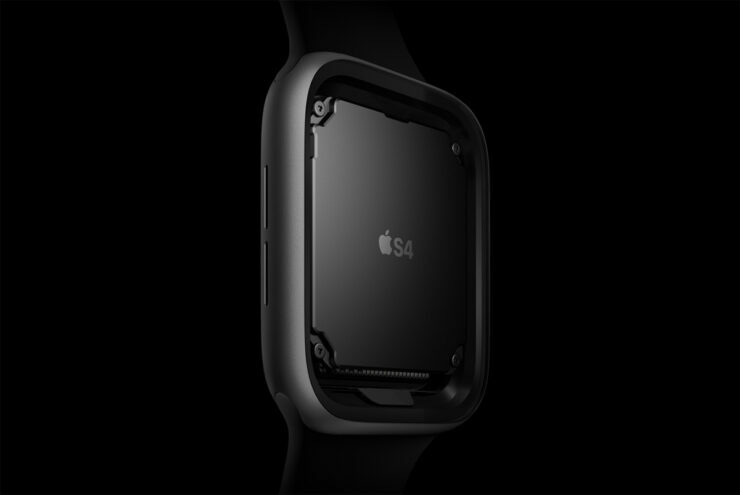 When it comes to comparing both wearables, the 44mm version of the Apple Watch Series 4 sports a 1.12Whr cell, while the 42mm Series 3 model sports a bigger 1.34Whr capacity. As for the 40mm version of the Apple Watch Series 4, it gets a 0.86Whr battery, which is smaller than the 1.07Whr cell present in the 38mm variant of the Apple Watch Series 3. We have reached out to the company to ask for an explanation and we’ll get back to you on why technology giant made such a move. It should be pointed out that thanks to sporting the new LTPO OLED screen and the new plus improved S4 chipset, the Apple Watch Series 4 is able to deliver the same 18-hour battery endurance as its predecessor. However, depending on your usage, your mileage may vary. Other components might also be responsible for the maintenance in battery efficiency but scraping that capacity on the newest edition of smartwatches from Apple is something that we do not appreciate. Are you guys in agreement or would you like to share something else with us related as to why the company was forced to make these sacrifices? Let us know down in the comments.